So when there is a good deal, I buy it. When there is an amazing deal, both the friend I am shopping with AND I buy it! This is just the case with this AMOR J. Crew t-shirt. Peggy and I were shopping together and we came across this adorable tee for 40% off the sale price! And since we are both teachers we were also able to use our teacher discount for an additional 15% off, making this baby only $13! Talk about a deal! 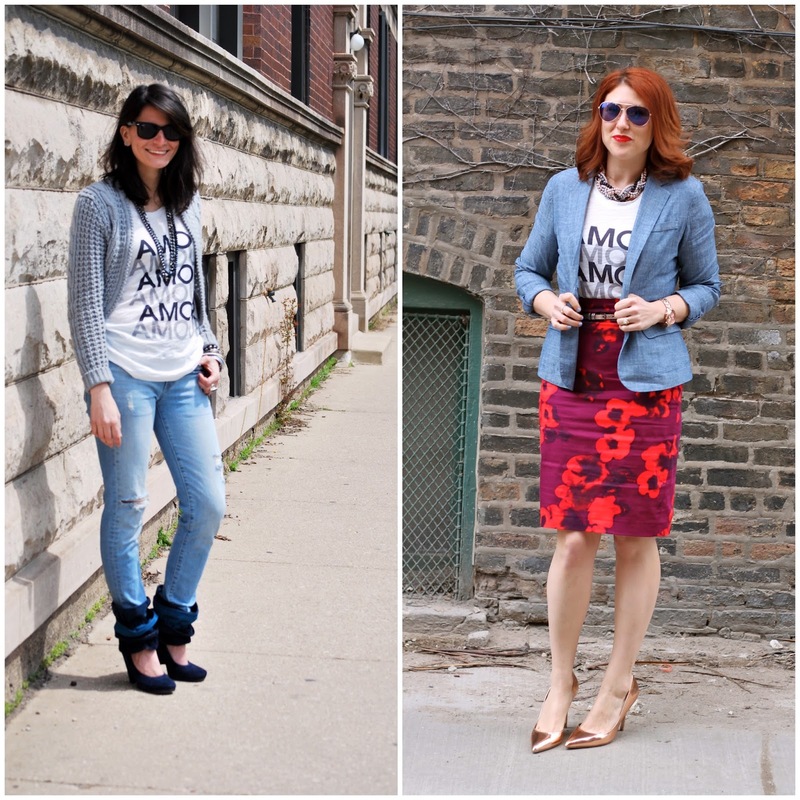 Since I always love how Peggy styles her outfits, we decided to show how we wore our Amor tees on both of our blogs today! 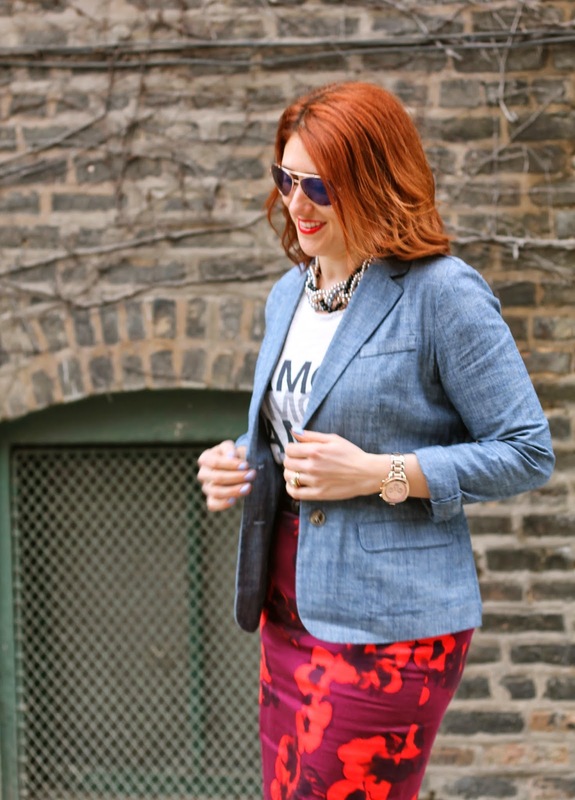 Get all of Peggy's outfit details on her blog Hallways Are My Runways!